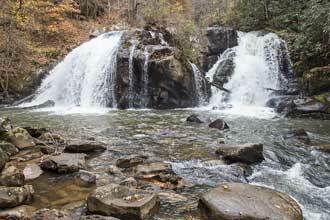 Travel alongside a scenic creek on this easy hike to an impressive double waterfall. 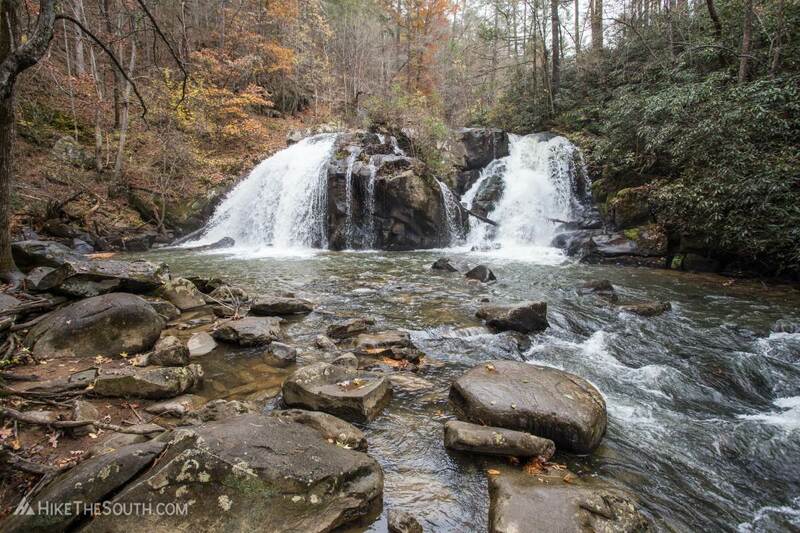 Turtletown Creek Falls is located in the Cherokee National Forest in southeast Tennessee and is a great hike for any skill level. 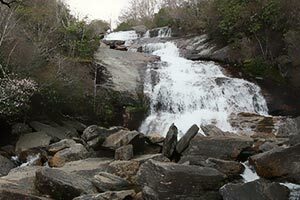 However, if you're up for a little more length, difficulty, and another waterfall, check out Turtletown Creek Falls Loop. 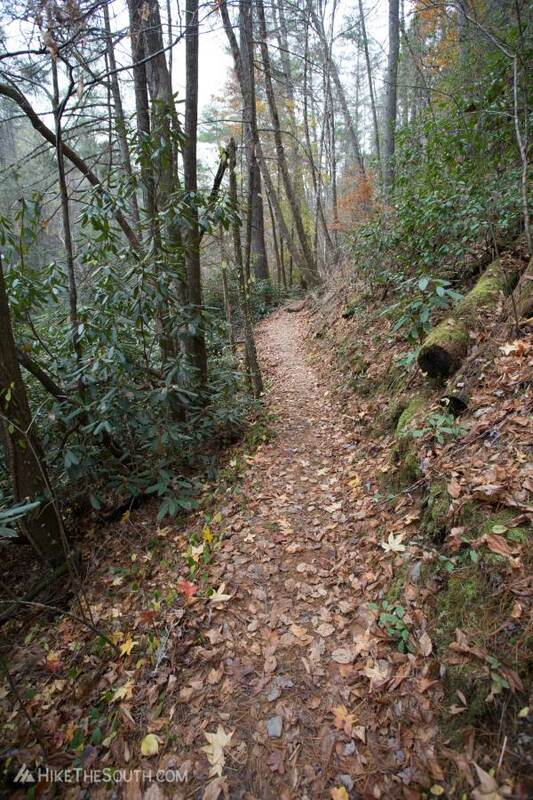 Either way, this hike is worth the drive. Park at the end of the dirt/gravel road off of Farner Road. Parking is around a deep mud pit, so don't get stuck. 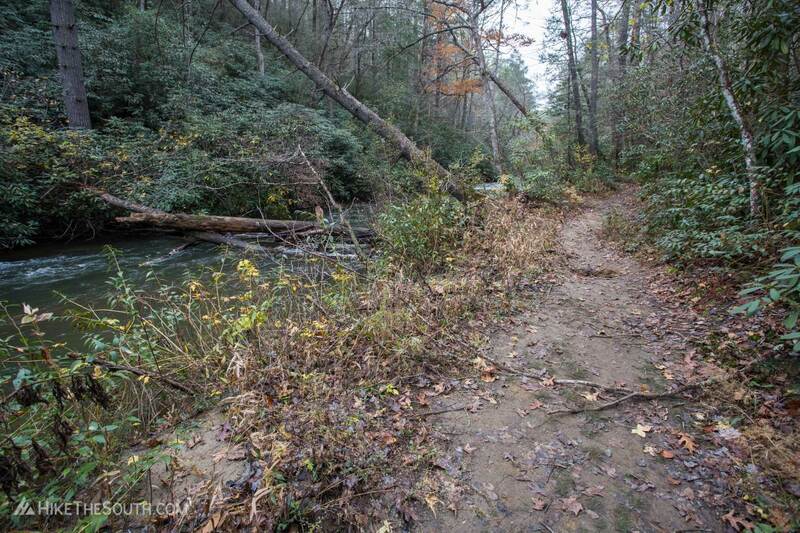 You also have to make a small creek crossing just before the end. If you're not comfortable with this in a low ground clearance vehicle, just park along the road before it. 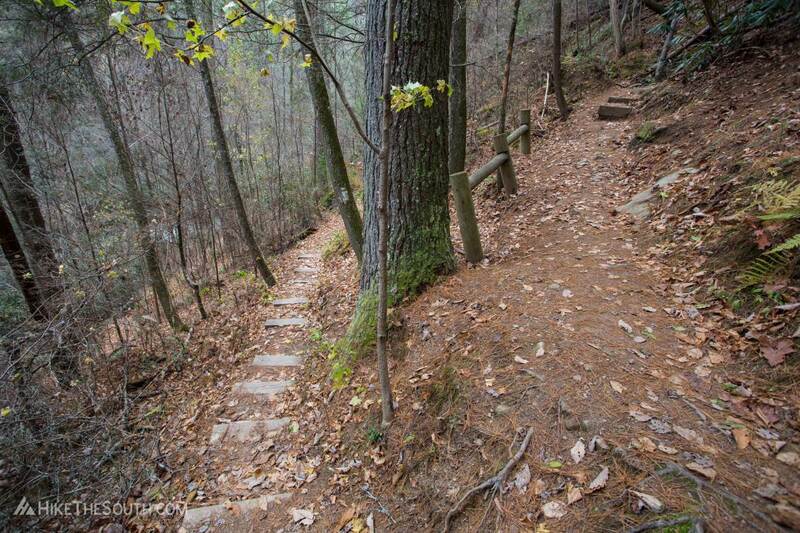 The trail is right around the corner. 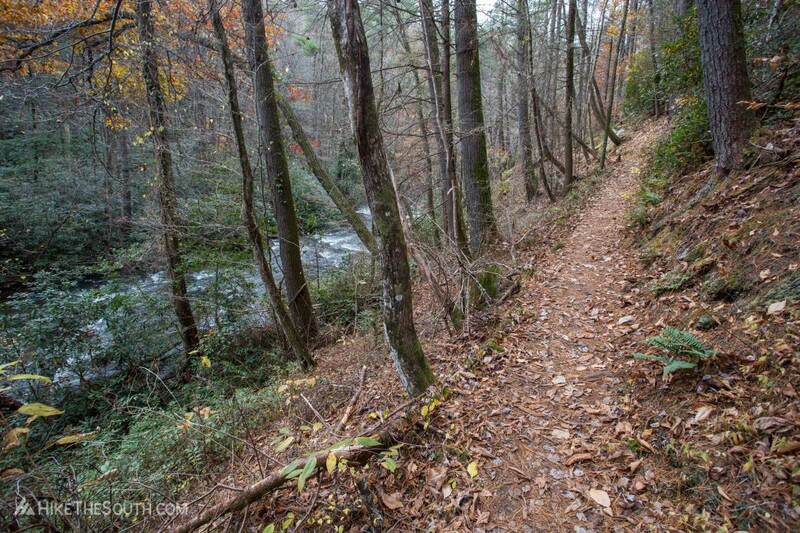 On the left side of the trailhead is a short side trail to the creek with a nice view of some cascades. The main trail begins on the right behind the metal gate. 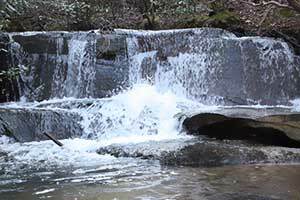 This is a hike I recommend for late fall to early spring as without the leaves on the trees, you'll be within ear and eye shot of the creek the entire way to the falls and get views of the falls from far above before descending to their base. 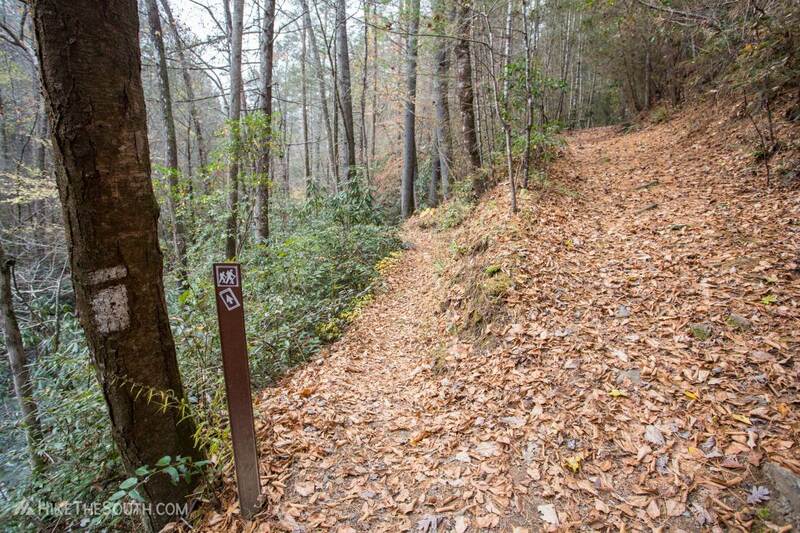 At 3/4 of a mile in, the trail splits to form the longer loop trail. 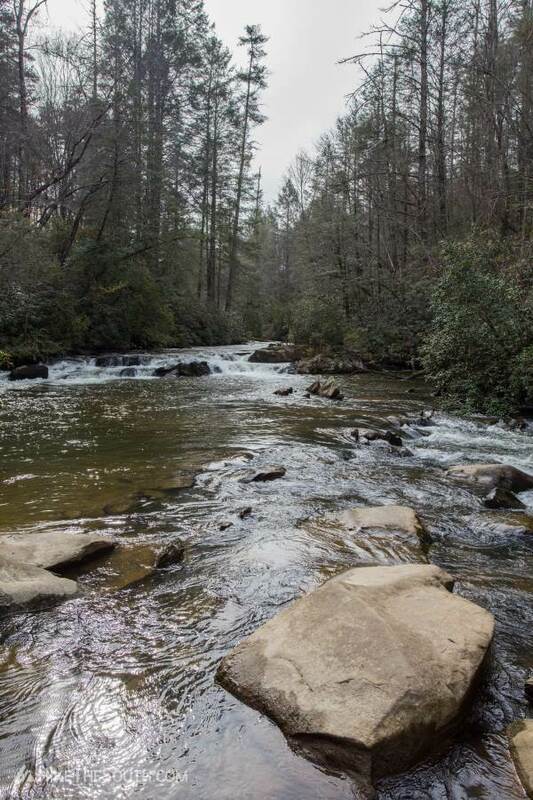 For this hike, stay to the left along the creek. Soon you'll hear the falls below you. Hike down some steep switchbacks to another intersection. Turn left for the falls. Right continues the loop. 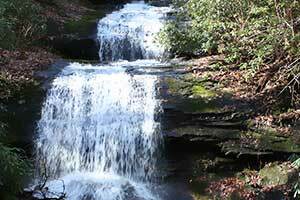 Arrive at Turtletown Creek Falls at just under 1.1 miles in. 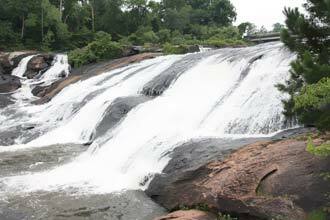 This powerful double waterfall may not be one of the tallest, but is one of the most beautiful you'll find in the southeast. With such a short easy hike, this should be on everyone's to-hike list. To finish, head back out the way you came. These coordinates are for Farner Road since Google routes incorrectly. The trailhead is at the end of a 1.2 mile dirt/gravel road. 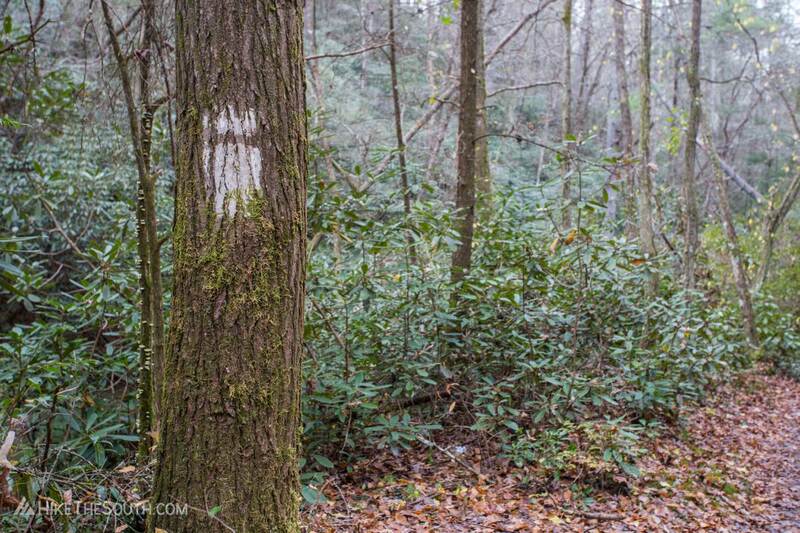 There are signs for the trail on Farner Road from both directions. 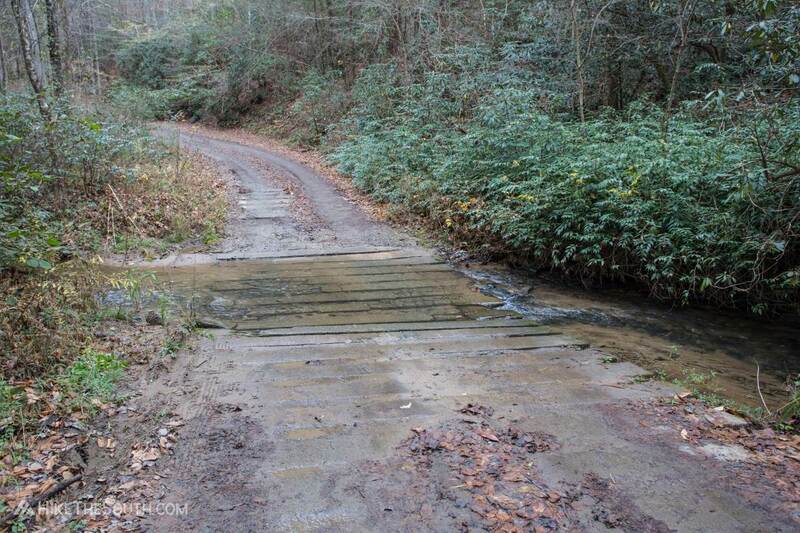 At the end of the road there is a small creek crossing with concrete strips to cross over. If you don't feel comfortable crossing in a low ground clearance vehicle, just park along the road before it. 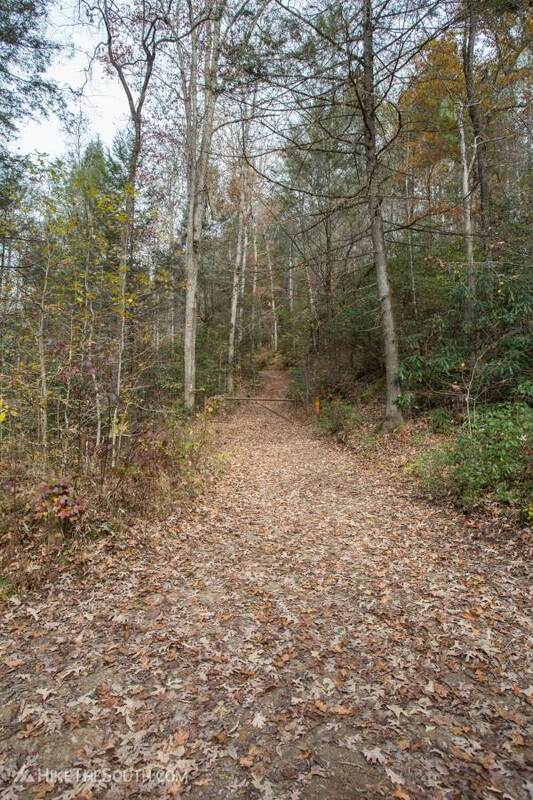 The trailhead is right around the corner. 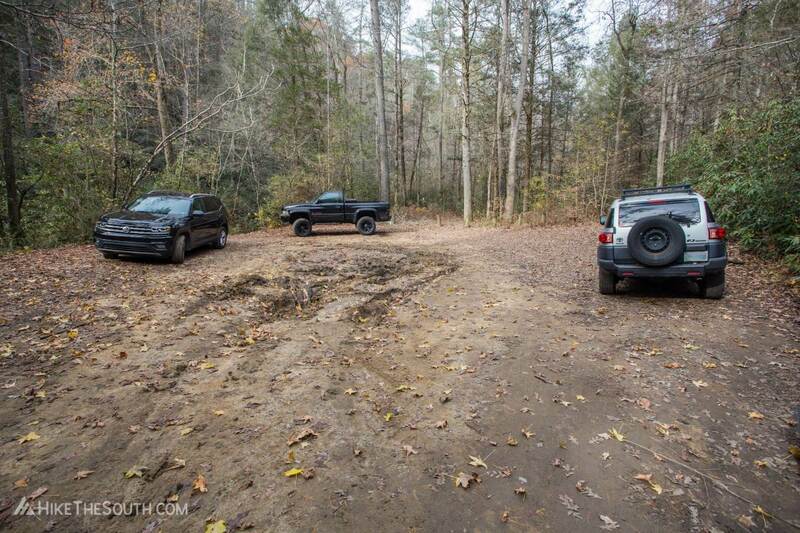 5-6 vehicles at the trailhead, 5-6 more along the road before the creek crossing. Numerous creek and muddy crossings. Most are easy but a couple are a little challenging to stay out of the mud. A few sections with steep drop offs. 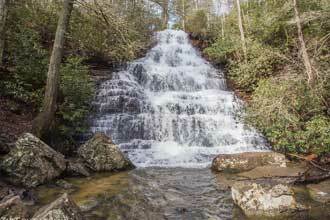 For such an easy hike, this is definitely one of the best waterfalls you'll find. 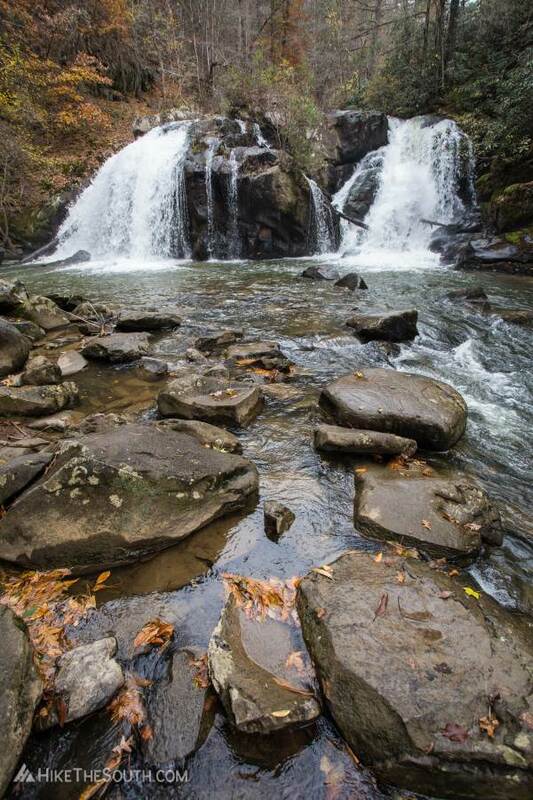 The beautiful double falls in one of the most scenic in the southeast. 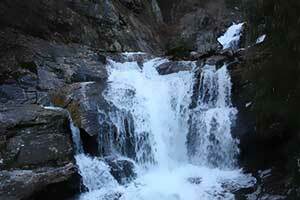 Check out the loop option for another waterfall and a longer hike.